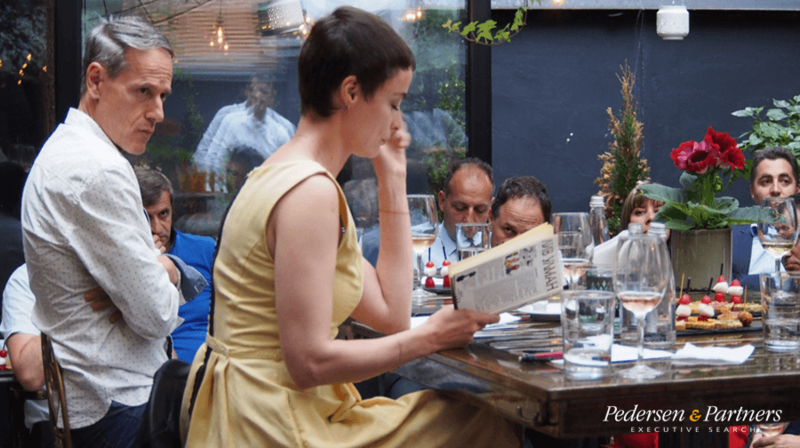 Sofia, Bulgaria – In June 2017, Pedersen & Partners Sofia organised a discussion panel on the film industry with highly acclaimed Bulgarian actress Joana Bukovska-Davidova and Ivan Tonev, a prominent film cinematographer, producer and director, speaking to members of the Bulgarian business community. The event was held in collaboration with PostBank. Mr. Tonev described the movie production process and the hurdles that the guild must overcome to make things happen, while Ms. Bukovska-Davidova shared some thoughts on acting and the power of art in bringing society up to a higher level. She also delighted the audience by reading excerpts from Liv Ullmann’s “Changing” book. “We are happy to see an active, intimate dialogue between the local business and cultural communities in a constructive environment, where ideas are openly shared and new concepts of partnerships are formed. 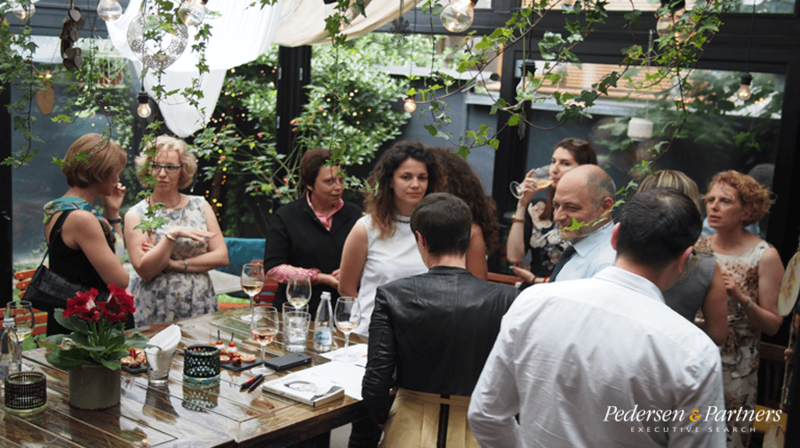 The Business Meets Culture series has turned out to be a unique platform for executives and distinguished cultural ambassadors to meet, exchange viewpoints and learn from each other,” commented Irena Bushandrova, Country Manager for Bulgaria at Pedersen & Partners. 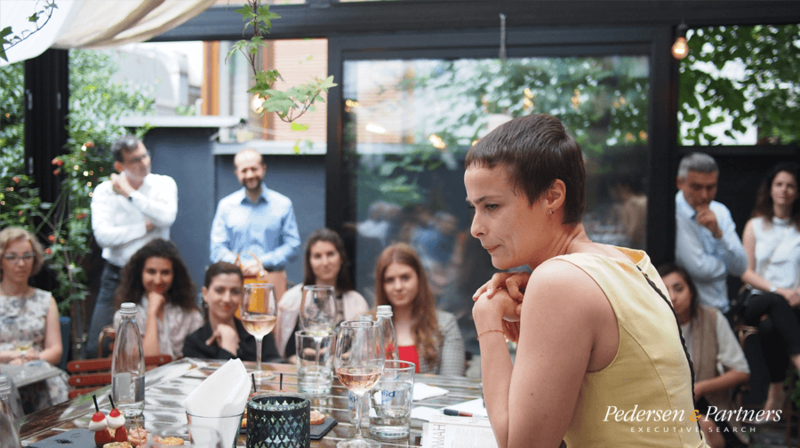 “Pedersen & Partners Bulgaria are advisors with extensive Executive Search experience supporting the growth of investors, and playing a key role in their business development – but that’s not enough to explain what their Sofia team is doing. They are committed to illuminating and supporting artists and other people engaged with Bulgarian culture by initiating and organising regular meetings. It’s a pleasure to talk about the most valuable beliefs of humanity – trust and love – in a relaxing and friendly atmosphere, and to meet, discuss and network with top executives from peer companies,” said Emil Iliev, General Manager Woodward Bulgaria, a regular guest at these events. Irena Bushandrova has been the Country Manager for Bulgaria at Pedersen & Partners since 2009. Ms. Bushandrova brings a wealth of senior management experience in the financial services sector having worked in key management roles at ING Bank in Bulgaria for 11 years. Most recently, as Head of Corporate Lending at ING, Ms. Bushandrova oversaw ING’s credit portfolio, managed a team of relationship managers, and actively supported other profit-centres in the bank via product cross-selling. Before joining ING in 1997, she was part of the lending team at the Bulgarian American Enterprise Fund for three years.